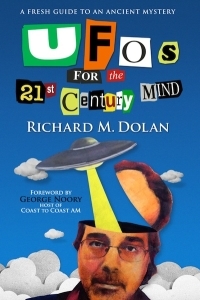 A conference revolving around one of the strongest UFO-cases will take place in Suffolk England on the 16-17 of June 2012: "The Rendlesham Forest Incident". (Learn more about the case by watching e.g. James Fox's documentary: I Know What I Saw). Among the speakers are former deputy base commander Colonel Charles Halt, sergeant Jim Penniston, sergeant Monroe Nevels and sergeant John Burroughs. Click here for more information. Pia Knudsen interviewed the Hollywood producer Bryce Zabel during a conference in Leeds in August 2011. Zabel is the creator of the 90s TV-series "Dark Skies" and is currently writing the script for the feature film "MAJIC Men". He is the author of the book "A.D. After Disclosure" as well (with Richard Dolan). In the interview Pia and Bryce, among other things, talk about the consequences of the disclosure of an extraterrestrial presence on Earth. Click here to watch the interview. The Telegraph and The Sydney Morning Herald reports (7th June 2011) that a lot of UFO-documents have gone missing at the Australian Ministry of Defence. 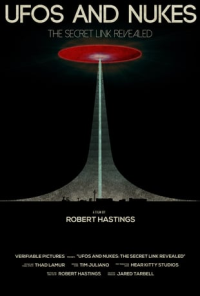 The story emerges at a time when several other countries declassify and make their UFO-files available on the internet. The documents have either been destroyed as a part of a normal administrative clean-up or a deliberate cover-up. The media's attention was draw to the fact because The Sydney Morning Herald had filed a freedom of information request. Read more in The Telegraph - Read more in The Sydney Morning Herald. Watch piece from Australian TV with Bill Chalker.The latter has apparently a more nuanced view on how many files are actually missing. Read Bill Chalker's comment from June 6th 2011. An FBI memo published on FBIs website has created debate on Facebook and in the tabloid media. Some argue that it proves the crash at Roswell. Other have pointed out that it is in fact second hand testimony and that the memo has been "out" for a long time. The attention shows that it is recommendable that one uses caution when dealing with declassified documents. Download the document here. We are not of the opinion that the document proves the crash at Roswell. However, we do find it rather interesting. Read article about the memo. Watch Dr. Lynne Kitei comment on the FBI-memo on FOX News.